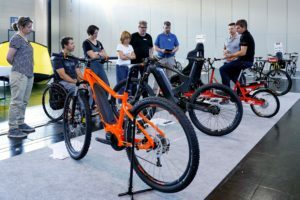 TAIPEI, Taiwan – The 27th edition of Asia’s largest bicycle show, which took place last week from March 5 – 8, attracted a total of 7,529 international visitors from 107 countries, 4.9% more compared with 2013. Besides visitors from the traditional markets including Europe, USA and Japan, show organizer TAITRA reports an substantial increase of visitors from all Asia countries to get in touch with partners along the supply chain, and to discover the latest products and industry trends, making the show an important platform for international exchange in cycle industry in Asia. Next to the number of visitors the Taipei International Cycle Show sees a growing importance as network event on a political level. 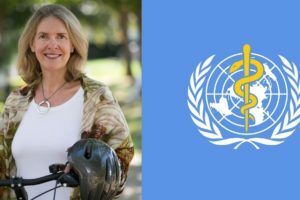 During the global get together of the bicycle industry and other stakeholders more and more meetings of industry organizations and advocacy groups take place. 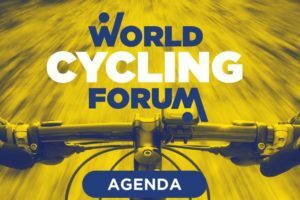 For example the World Federation of the Sporting Goods Industry (WFSGI), the European Cyclist Federation (ECF), the International Cyclists’ Federation (UCI) and the industry organizations A-Team from Taiwan and COLIBI/COLIPED from Europe. 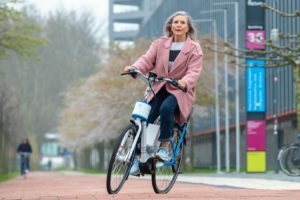 At the Velocity Workshop on March 7, hosted jointly by the host city of Velocity 2016, Taipei, and the European Cyclists’ Federation (ECF), Mr. Hou, the major of Taipei City, indicated that bicycles were not only for leisure, but also an important means of green urban transport. For example the U-bike public bike rental system which has become an icon for Taipei city. 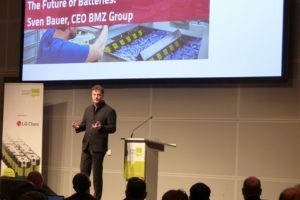 ECF chairman, Manfred Neun, remarked that ECF chose Taipei as the first Asian city to host Velocity Conference, because Taiwan had 3 advantages: innovative industry cluster that made Taiwan a leader in cycling industry, general public enthusiasm about using bicycles, and strong government support. The Taipei City Government and ECF have not yet set the final dates on Velocity 2016. 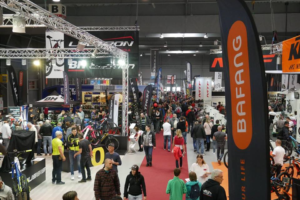 The 2015 edition of the Taipei International Cycle Show in conjunction with the TaiSPO is scheduled March 18 to 21 at Nangang Exhibition Hall, TWTC Hall 1 & Hall 3. 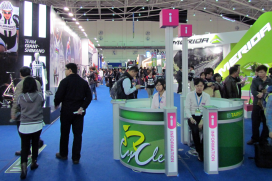 An extensive coverage of the 2014 Taipei International Cycle Show will be published in Bike Europe’s March edition with publication date March 24.